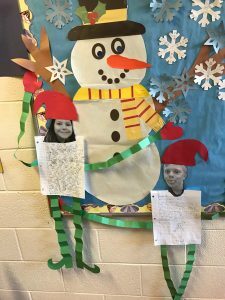 Simple project to do the day before Winter Break! Cut some long strips of green paper (4 of each students). Cut out a pair of mittens for each student, a red hat, and come green shoes! 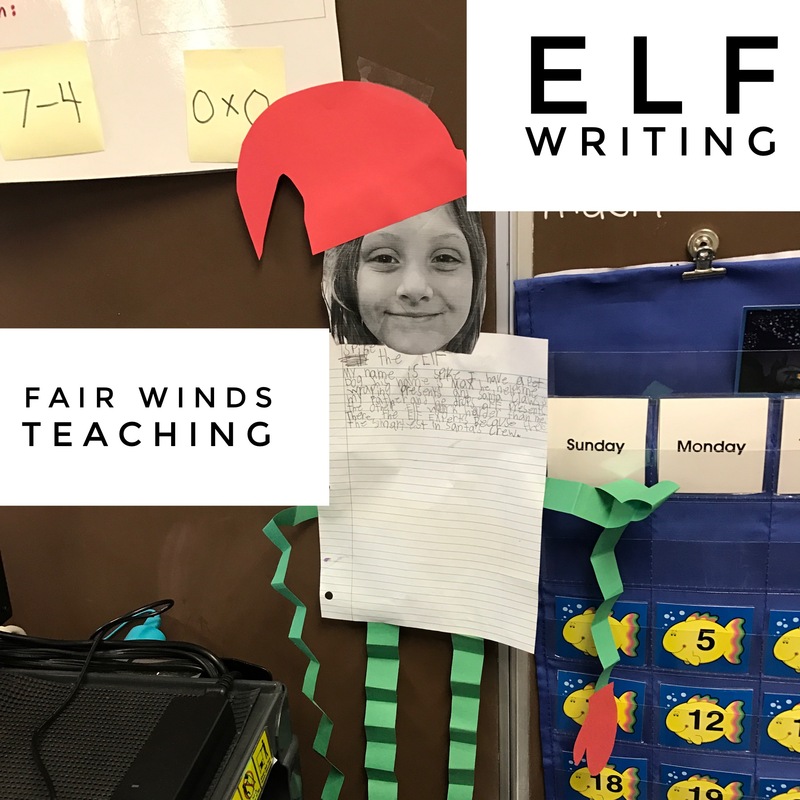 Use writing paper as the body; have the students write an original story about their elf. While they are working, call them up one by one to take a close up picture of each of their heads. I simply emailed them to my school email and opened them up in class. I sent them to the printer and I was ready to go. Pass out the heads as the students finish up their creative stories. 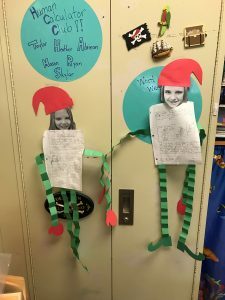 Then allow them to out their elf together. 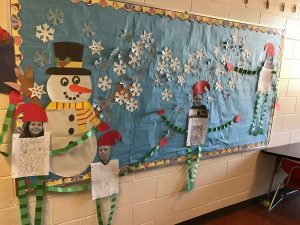 We made a bulletin board outside our classroom for some of them and then the other were hung around the classroom. They were great! 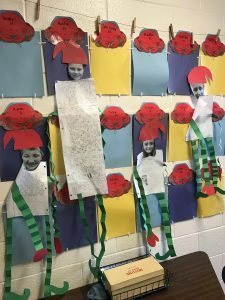 The kids had a blast and they worked really hard on their stories. I also encouraged for silly faces in the picture! Oh what FUN!